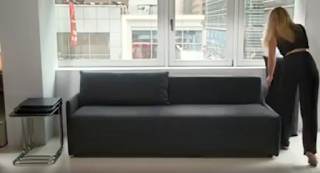 This sofa turns into a bunk bed. A resource optimal for swimming pools. Superb ways to save space at home.